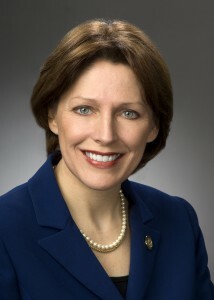 State Representative Connie Pillich talks with Rachel Maddow about Ohio Republicans with the help of Governor Kasich sneaking the most restrictive new abortion measures in the country into the state budget bill to avoid Texas-style public backlash over amendments they knew couldn’t survive public scrutiny. Approaching the first Ohio Democratic Party state dinner since announcing his run for governor, Cuyahoga County Executive Ed FitzGerald today received the support of 63 of 88 Democratic County Party Chairs in Ohio. With the general election over a year away, this early endorsement from these Democratic leaders shows monumental support from all corners of the state. The counties listed below, including 9 of the 10 largest counties by population, represent 73.2% of Democrats in Ohio. Today, Governor Kasich’s statehouse allies introduced their new tax plan to increase Ohio’s sales tax, lowering the commercial activities tax exemption and eliminating the property tax roll back on new levies that benefits Ohio’s homeowners, thereby increasing taxes on homeowners in order to benefit the wealthiest Ohioans with an income tax cut.